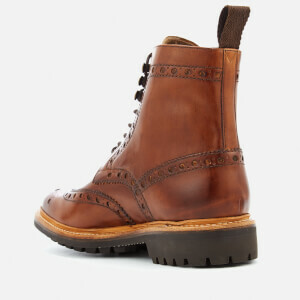 Grenson ‘Fred’ tan leather brogue boots with a chunky black rubber commando sole. Fastened with waxed leather laces, the shoes feature a hand painted leather upper for a deep, rich finish and gold-tone metal eyelets with three lace hooks to the top. 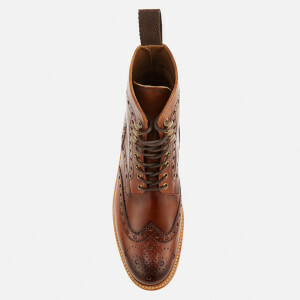 The round toe uppers feature an oversized brogue pattern, signature serrated edges and wingtip detail around the toe. 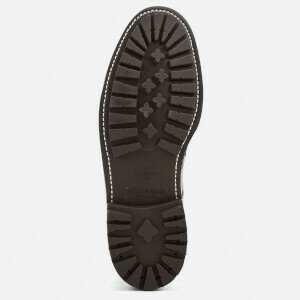 Complete with a natural split welt, a grosgrain heel pull loop and a lug outsole for increased grip. 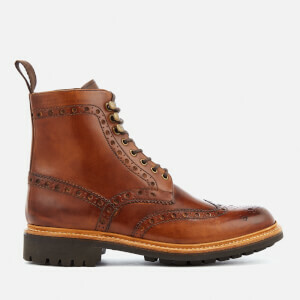 Upper: Calf Leather. Sole: Rubber. 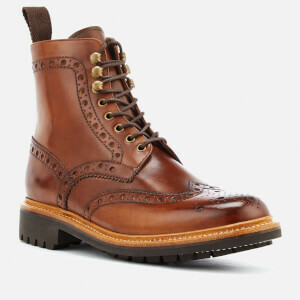 Wow, these boots are simply the best! Super high quality, comfortable and very very cool.